A crash involving three drivers happened in the final practice for the MAVTV 500 IndyCar World Championships at Auto Club Speedway in Fontana California. The three drivers were Snapple Andretti Autosport's Marco Andretti, NovoLog FlexPen Ganassi Racing's Charlie Kimball, and SMP Racing's Mikhail Aleshin. Two of the three drivers were able to walk away but the rookie driver from Russia, Mikhail Aleshin (pronounced Ah-lotion), needed to be helped through the efforts of the Holmatro Safety Team out of the Dallara DW12 and onto a stretcher. The first report issued at the track is that Mikhail is conscious and being transported by Helicopter to Loma Linda Hospital in San Bernardino County complaining of right shoulder and right foot pain/injury. He is listed in Serious Condition. The photos from the video feed at the track suggested something a bit more tragic than the first reports on Aleshin's condition because one of the cars was seen as flying up into the air into the catch fence. Further images showed that a tire from a car was embedded in the fencing material with the car Aleshin was driving in shambles further down the track exiting Turn 4. The last time cars flew into fences at an oval IndyCar event, the results cost us all with the life of Dan Wheldon which also happened at a season ending event. The initial reports are promising and we all pray for a positive, and life affirming result from this final practice crash. 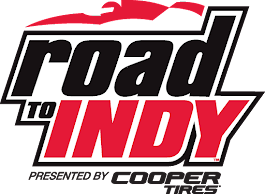 The Verizon IndyCar Series will be holding their third championship season ending, double points paying, 500 mile race at Auto Club Speedway, in Fontana, with the MAVTV 500 INDYCAR World Championships - this coming weekend, ending at night, under the lights, Saturday, August 30. 2) Just what was the interest in this challenge - are you a fan? a good business manager, both? 3) In this economic climate ... what are the challenges to drawing fans from the greater Los Angeles/Orange County basin for NASCAR and IndyCar? 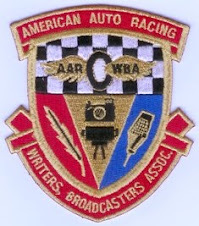 4) There are other forms of racing held at Auto Club Speedway - for example, most people seem to think the only drag-racing that takes place in the greater Los Angeles/Orange County basin is another Auto Club sponsored facility in Pomona, but there are actually a couple more ... and Auto Club Speedway is one. Please tell us more about the drag-racing program at Auto Club Speedway's Auto Club Dragway - how professional is the activity? 5) Another program at Auto Club Speedway is a bit more fan interactive - Exotics Racing gives one the opportunity to drive their choice of exotic super cars on a race track with 1-on-1 coaching from driving instructors! How has the Ëxotics Racing¨venture worked out so far? 6) The facility at Auto Club Speedway has a large infield, Indianapolis Motor Speedway, where the Indy 500 is held, has successfully transformed its infield into a very compelling road course race track reminiscent of the layout pace found at the track in Portland Oregon ... is Auto Club Speedway planning on attracting professional sport-car racing through a road course addition as IMS has done? Do you see the Verizon IndyCar Series remaining on the calendar as the season finale? ... or any date, for the foreseeable future? 8) Lastly, what do fans need to be on the look out for while attending MAVTV 500 INDYCAR World Championships - this coming weekend? Lastly we come to Fontana, to come full circle from where this post began nearly 900 words ago. Frankly, and despite a strong and committed level of promotion from Auto Club Speedway, ISC, and track president Gillian Zucker, INDYCAR has done ACS zero favors in terms of a consistent date for date equity since its return to the calendar after a seven-year absence. Yeah, it’s been the last date of the season for three years. But that last date has been September 15, 2012, October 19, 2013 and now August 30, 2014 in three consecutive seasons. How can most locals know when the race is if it changes on them three straight years? This year, Zucker has justifiably spoken out, confirming to the Inland Valley Daily Bulletin that a Labor Day date – one Miles has held firm the IndyCar Series needs to end by – won’t work for the track. It’s going to be a challenge because the NBCSN race telecast doesn’t start until 9 p.m. ET Saturday night, with the race scheduled to start at 7:20 p.m. local time (10:20 p.m. ET). 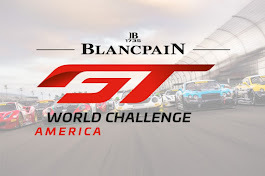 So suddenly one of the big things we have to watch this weekend is how Fontana deals with the date, and what could happen about its date changing again for the following season. Essentially, here’s where we’re at for the IndyCar 2015 schedule. Canada’s date du jour. Assume the Canadian Grand Prix occurs June 7, and with IndyCar at Texas June 6, that potential Toronto-Montreal date conflict is averted. Either late June or one of the July weekends could work for a CTMP, Mont-Tremblant or other random Canadian venue date. Toronto’s streets could work June 13, potentially, but that seems a likely off weekend. New Orleans is possible for 2015 – Michael Andretti’s group seemed keen on it happening next year during his Milwaukee pre-race media availability. The two locations mooted for the spring international races, likely in February or early March, are Dubai and Brazil. Details on those would need to be forthcoming, but they wouldn’t feature the new-for-2015 aero kits as they’re not delivered to teams until March 1. Of course, we’ve been down the “international race” path before without it actually going anywhere. Road America. As mentioned above, unlikely for 2015, but we can dream, right? This past weekend in Milwaukee Ed Carpenter finished in the top 10. Carpenter is successful at Auto Club Speedway in Fontana, California. He won ACS's 2012 MAVTV 500 INDYCAR Race. Last year, he came in 2nd for ACS's 2013 MAVTV 500 INDYCAR race (lost to Will Power). He also won the pole position for back-to-back INDY 500 races - May 2013 & 2014. As an INDYCAR driver and team owner ... over last weekend, he announced that that his team (Ed Carpenter Racing) is merging with Sarah Fisher Hartman racing for the 2015 season. (1) This year has been a pretty good year for Ed Carpenter Racing if one looks at the points the Fuzzy's Vodka DW12 has been able to post up with only 2 races left - Mike Conway's road course at Sonoma and Your Auto Club Speedway's super oval. The two of you are ranked right next to each other - Mike Conway is sitting at P22 and you are at P23 ... but the car's total points have the effort ahead of 3 out of 4 drivers on the two 4 car teams - Ganassi and Andretti - at P7 with 1 Pole and 3 wins. 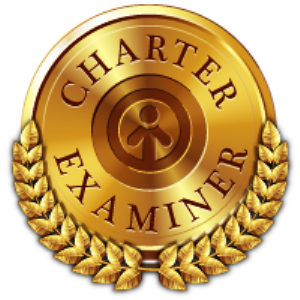 A) Has this unusual team mix of specialists delivered the results that you expected? B) Has this mix of fielding a car with specialists for a season been done before? (2) How do you see the team/car finishing the season with these two races that are left? - First, Mike Conway's road course at Sonoma and Second, Your Auto Club Speedway's super oval performance. (7) Sarah Fisher's driver, Joesef Newgarden seems to be becoming a hot commodity right now in the paddock. Do you intend to try and retain Joesef Newgarden as a driver on this new 2-car team? (8) Will you continue with the 2-driver line up in one DW12 with Mike Conway taking up duty on the road courses as part of this 2-car team? ... or will you eventually join Sarah in a team management role? Boxes that contain photographs arranged in albums (not just images) of times shared in a lifetime are nothing more than just books with photos. It takes other humans who have courage, patience, acumen, and heart to attempt to capture context and tales associated with the lives and times of a bygone era so important to our modern day motor culture ... here, and throughout the world. Race car driver, Rick Knoop is one such person who, with the support and talents of film-maker Dean Kirkland, Rick's wife Cydette Vikander Knoop, and the rest of the organization at K&K Productions, who stepped up to the challenge to bring forward the stories behind the images stored in book placed in a box then conducted and edited over 50 interviews, 100's of photos, and archive film into one 1 hour 16 minutes piece of informative movie entertainment. For those who may have been unfamiliar with Rick, he is the son of Fred 'Frosty' Knoop who also happened to be a driver of sport cars while ranching, raising and judging horses in Northern California. Rick came by his skill through his DNA, in that Frosty raced sport cars in the formative years of modern road racing through the woods of the Monterey Peninsula. For Rick's contribution to motor culture, as a driver, Rick consistently won and placed in the world’s most challenging and prestigious sports car races that include his victory at the 24 Hours of Le Mans to winning at Daytona. Today, Rick still straps on his similarly colored Bruno Junqueira helmet (or should this be stated the other way around) in an effort to keep alive race cars from past series so that the memory of these engineering marvels never fades. 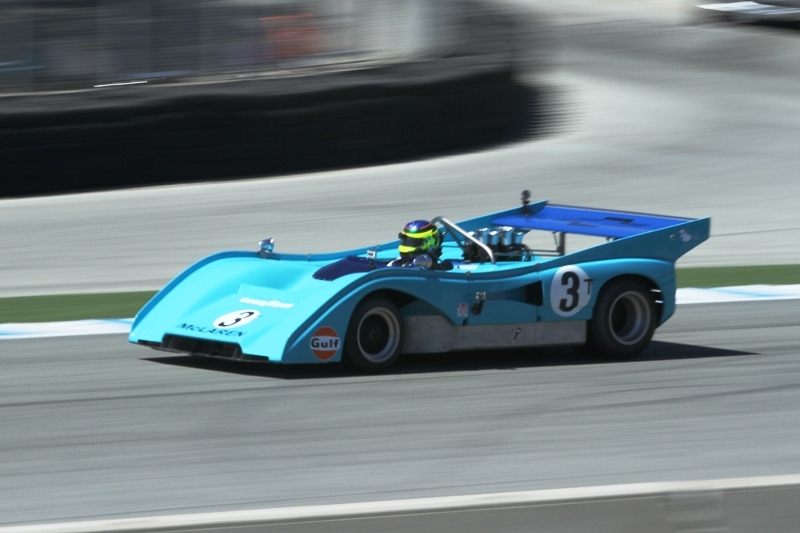 Here, Rick moves from a qualifying position of 11 to finish on the podium in P3 at the 2014 Rolex Monterey Motorsports Reunion at Mazda Raceway Laguna Seca. 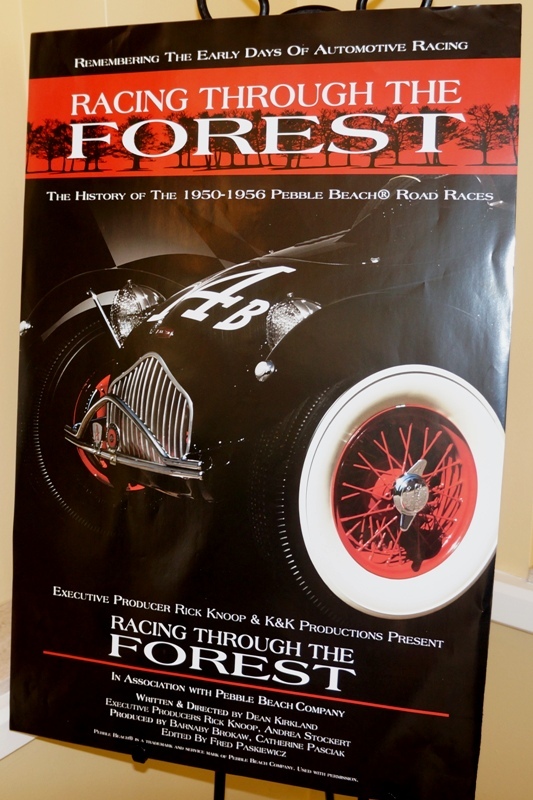 "Racing Through The Forest," which premiered at The Inn at Spanish Bay in Pebble Beach on Wednesday during Monterey auto week. The film revealed never-before-seen footage of the Pebble Beach Road Races, held from 1950-1956. Before there was Mazda Raceway Laguna Seca, young brilliant mechanics in California who had dreams of becoming race car drivers wanted to compete in their Jaguars, Ferraris, MGs, and Alfa Romeos, and they needed a place to race. They chose 17 Mile Drive to be their dangerous track. 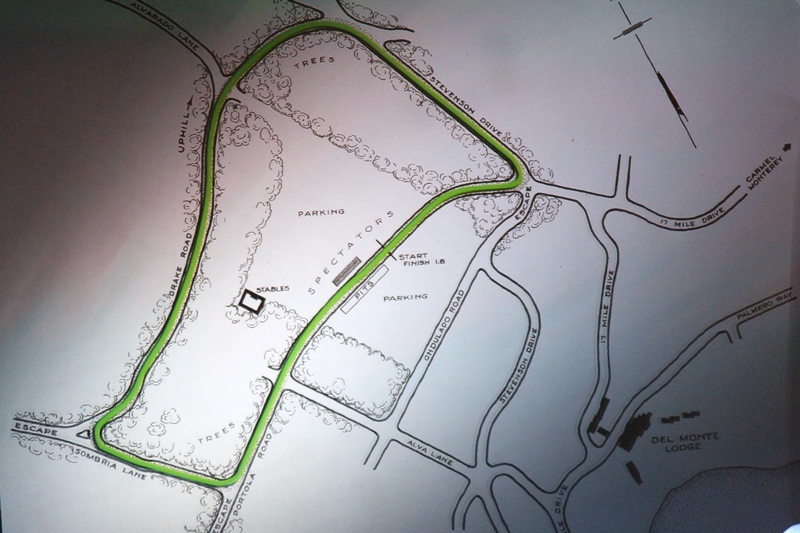 The public road had sharp turns and dramatic elevation drops. Del Monte Forest's dense pine trees lined the road and created a strobe light effect. Dark shadows from the trees sharply contrasted against a bright white sky, and the visual effect distracted drivers. The 1950s is now considered the romantic time of American racing, before the sport became a business for car manufacturers and competition between athletes for sponsors. 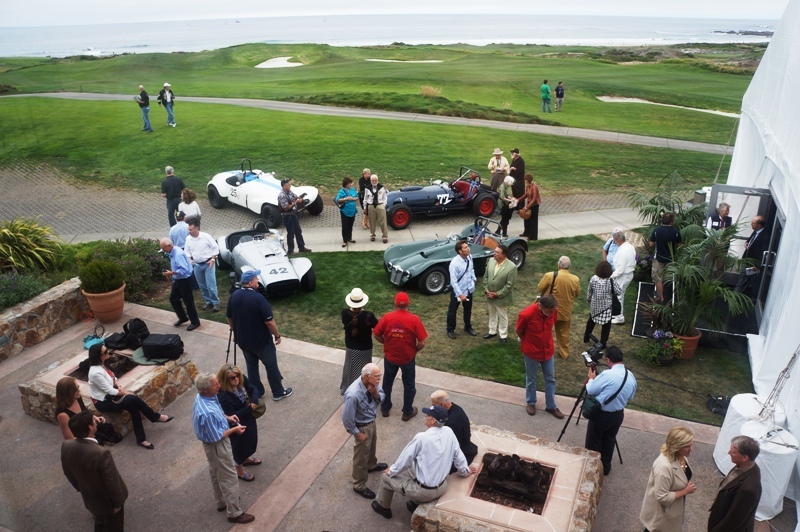 The Pebble Beach Road Race's entry fee was $15, and drivers were only semi-professional because sports car racing was just being born in America. Each race, the men behind the wheel got better, the pits become more innovative with designs, and some drivers went on to become world champions (In 1961, Phil Hill became the first American to win the Formula One World Drivers' Championship. Carroll Shelby went on to win the 24 Hours of Le Mans in 1959 and design Shelby Cobra and Shelby Ford Mustangs). Crowds of fans were nine-people deep along some parts of the Del Monte Forest track, and the only barriers between fans and the track were a few bales of hay. There was always an undercurrent of adrenaline and danger, fans said. 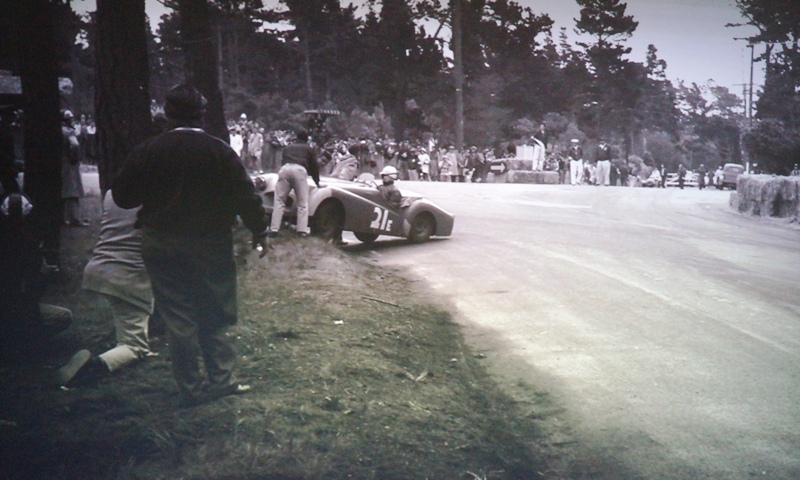 Pebble Beach's race track ended in tragedy, when driver Ernie McAfee crashed a Ferrari into a tree and died instantly. A race in Pebble Beach never happened again. Mazda Raceway Laguna Seca was built on Fort Ord in 1957 and became the modern day successor. 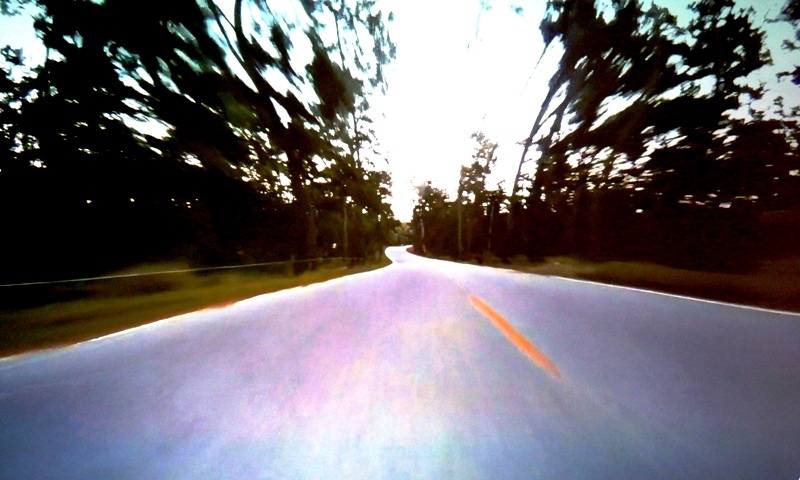 The goal behind making "Racing Through The Forest" was to unearth what these pioneering, fearless young drivers did in the 1950s and gather film footage that would otherwise be lost over time. The film was written and directed by filmmaker Dean Kirkland and produced by renowned race car driver Rick Knoop. This seminal set of races also placed in motion the process of finding lighter, faster, more powerful, nimble cars from around the world and helped to fashion a racing resource template used today that has its motor culture roots firmly based in the forest around Pebble Beach. 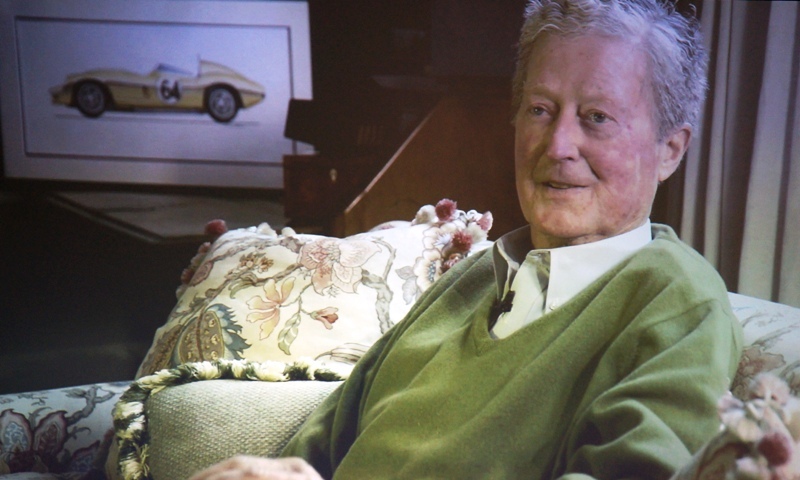 "What began as a tribute to my father, Fred Knoop, has evolved into a celebration of one of the world’s greatest road races," Rick Knoop said at the Spanish Bay movie premiere. 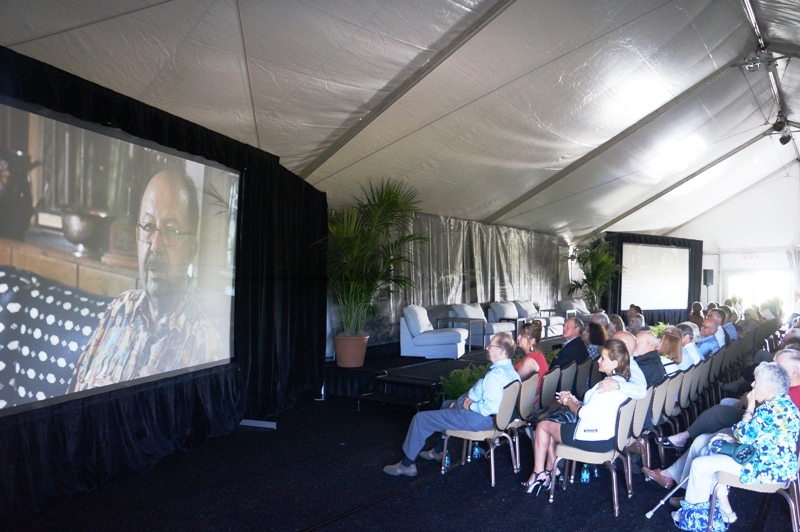 "We’re thrilled to share this incredible story with audiences at the Pebble Beach Concours. It is a privilege to have the opportunity to explore this incredible history, especially just feet from the road where the men and machines did battle." Rick Knoop and Dean Kirkland delivered on the promise these photographs stored in an album and held in a box to be brought back to life with heart in a way an image could never do ... through film. A must see film where the heart of the making of the presentation comes through in every frame and leaves an indelible and permanent impression. With only three races left in the 2014 Verizon IndyCar Series season, Auto Club Speedway teamed up with their sponsored driver Penske Racing's Helio Castroneves. The last race of the season is a double-points paying event that is scheduled to run for 500 miles at Auto Club Speedway in just 21 days on Saturday, August 30. The event is called MAVTV 500 IndyCar World Championships and rightfully so. Helio, who currently is in a strong position to get his first Verizon IndyCar Series championship, sits only four points behind points leader and team-mate Will Power who is also looking for his first title. It turns out that with only three races left in the 2014 season - Milwaukee, Sonoma, and Auto Club Speedway - roughly 11 drivers are within mathematical striking distance of capturing the Verizon IndyCar Series World Championship Trophy, the Astor Cup. Helio felt that a driver would need a 75 point lead to feel safe ... that would be 75 points ahead after the next two races of the 1 mile bullring at Milwaukee and the 2.52-mile road course at Sears Point near Sonoma. 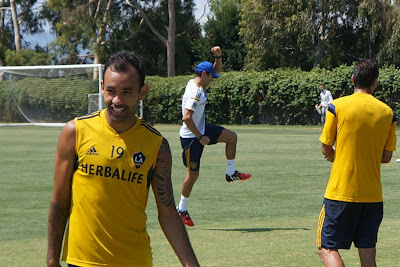 At StubHub Center, formally Home Depot Center, in Carson California, a group of Brazilian athletes came together to draw media support to have folks become aware of the L.A. Galaxy soccer season and the end of the Verizon IndyCar Series season. Three-time INDY 500 winner, Helio Castroneves was joined by L.A. Galaxy players Marcelo Sarvas and Juninho along with Auto Club Speedway President, Gillian Zucker. The next two home games for the L.A. Galaxy feature the first Friday Night Fireworks & Lights Show, presented by Best Foods tonight with L.A. Galaxy meeting the San Jose Earthquakes - 8/8 7:30PM PDT and Back to School Night where the first 15K fans will receive a tin lunch box courtesy of The Flame Broiler with L.A. Galaxy meeting the Vancouver Whitecaps FC - 8/23 7:30PM PDT. 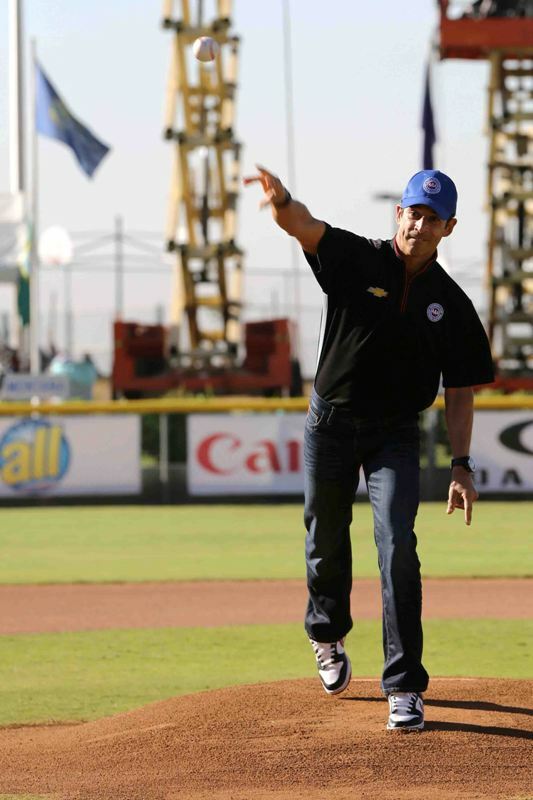 Helio Castroneves started his day showing his interest in Little League Baseball at the opening of a contest in San Bernardino. 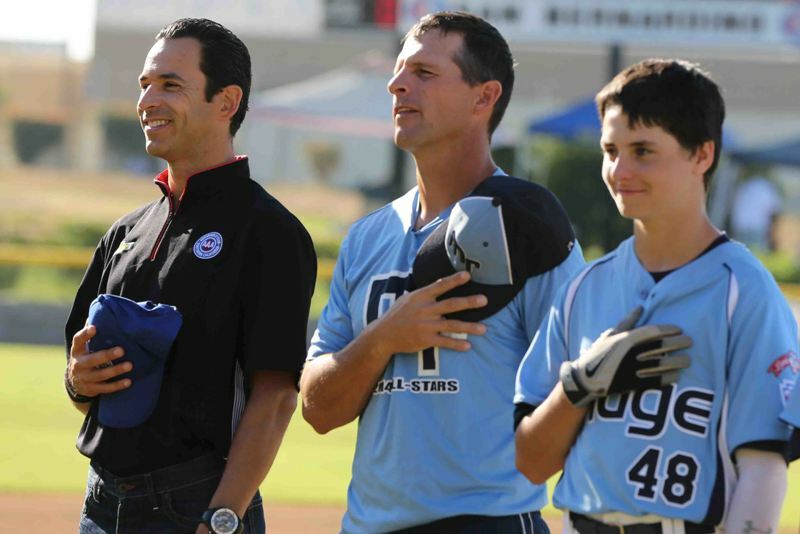 He met with the teams gathered and threw out the first pitch prior to the Southern California/Nevada Little League Western Regionals at Al Houghton Stadium in San Bernardino. Instead of entering Al Houghton Stadium in a single file line, Bonham said players will walk in more as a group and closer to the stands. Instead of the usual picnic the night before the opening ceremonies, this year’s regional teams have a planned night out Thursday at San Manuel Stadium in San Bernardino for a professional minor league game involving the Inland Empire 66ers of the California League. “This is showtime for these kids,” Bonham said. In the West Region, teams come from California, Nevada, Arizona, Hawaii and Utah to compete. In the Northwest, teams hail from Alaska, Washington, Oregon, Idaho, Montana and Wyoming. Most arrived Wednesday and will stay at the on-site dormitories during the duration of the two tournaments, which wrap up with championship games Aug. 9. 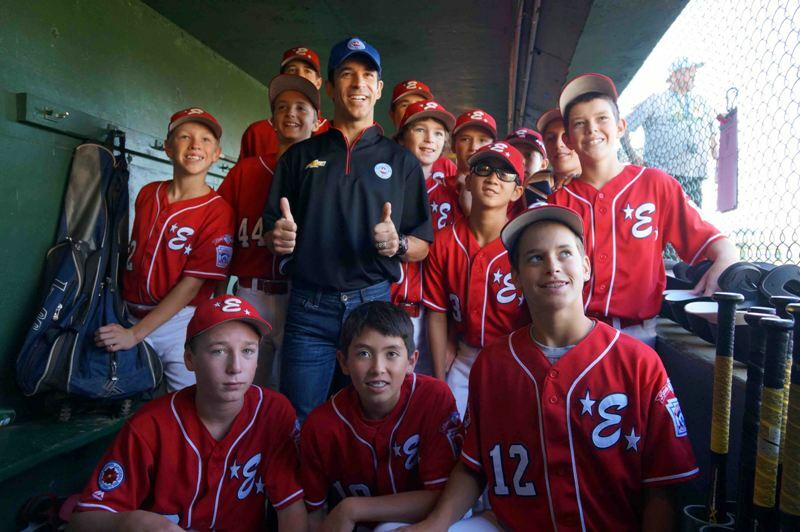 The Little League World Series begins Aug. 14 in Williamsport. 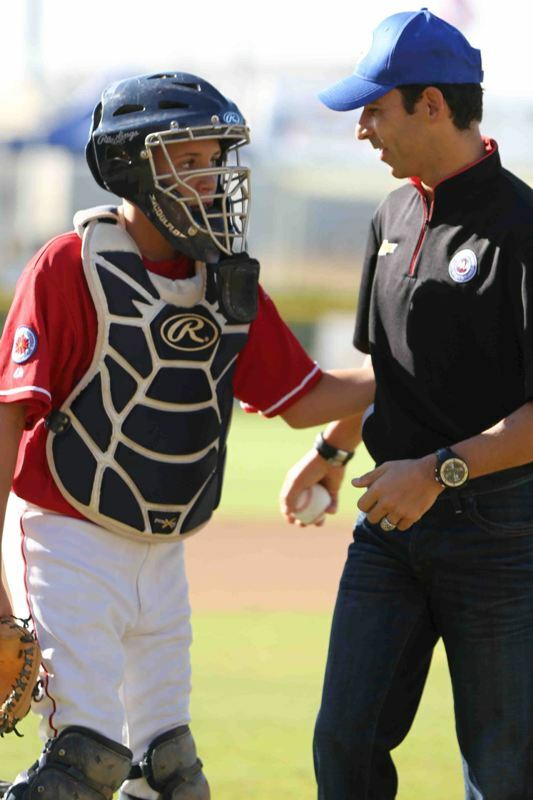 After his So Cal MAVTV 500 Auto Club Speedway promotional swing, Helio participated in a test at Sonoma Raceway. Eleven IndyCar drivers completed a one-day test session at Sonoma Raceway on Thursday. Participants included Team Penske's Helio Castroneves, Will Power and Juan Pablo Montoya, Target Chip Ganassi Racing's Scott Dixon and Tony Kanaan and this year's Indianapolis 500 winner Ryan Hunter-Reay of Andretti Autosport. Power won last year's Sonoma race. It marked the final test scheduled for the 12-turn, 2.38-mile course before race weekend. The Grand Prix of Sonoma is Aug. 24. "Driving a Verizon IndyCar here is a rush. There's really no comparison to driving a stock car here," said Montoya, who won a NASCAR Sprint Cup race at Sonoma in 2007. Then after the Grand Prix of Sonoma, the season comes to an end ... in August ... at Auto Club Speedway ... Saturday, August 30. Come one and come all to see just who will celebrate winning the new 2014 Verizon IndyCar Series Astor Cup.